After creating a vector design in Adobe Illustrator (AI), you’ll probably need a JPEG preview image of your artwork. “Saving As” a JPEG in AI often results in a file that is too large. In this tutorial, I’ll show you an easy way to create a Photoshop (PS) action to resize a JPEG from an AI vector file. 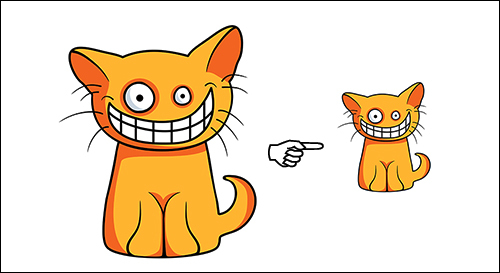 Step 1: Launch PhotoshopThe first thing you’ll want to do is duplicate your original AI file. Now, launch Photoshop. Select File > Open and choose the copy of your AI file. 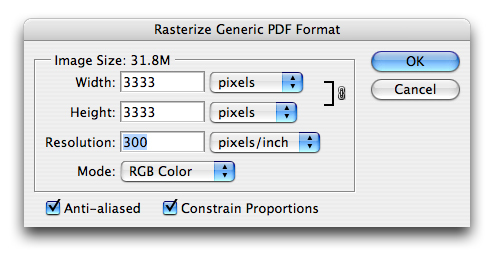 The Rasterize Generic PDF Formatpanel will appear and click OK. The file may take some time to open, depending upon the size of your AI file. Select the New Action icon at the bottom of the Actions Palette Menu. 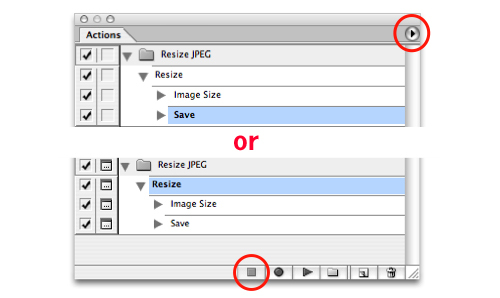 Label this action “Resize.” At this point you can also assign a function key or a color to the file. I’ve selected the color orange for this new action. Now, click the Record button in the New Action Panel. Notice that the Record Button at the bottom of the Actions Palette Menu turns red. Next, choose Image > Image Size. 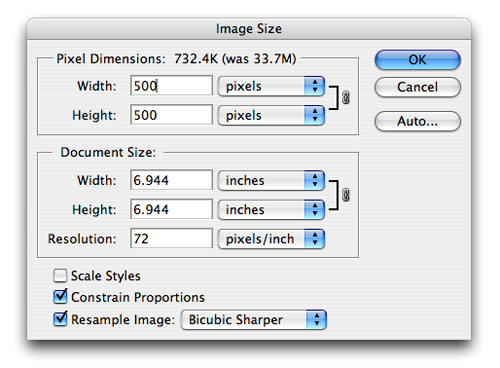 When the Image Size panel appears, check both of the boxes for Constrain Proportions and Resample Image. Also enter the following settings:Pixel Dimensions Width=500px and Height=500px and Resolution=72dpi. Select File > Save As and choose the JPEG format from the drop down menu. Keep the “Embed Color Profile” if your file image has original swatch colors. The JPEG Options panel will appear next. Keep the default settings but make sure the quality is set to the maximum level. In order to play the new action you’ve created, open an AI file in PS (like before). Open theActions Palette Menu and choose the “Resize JPEG” action set folder. Then select the action labeled “Resize.” At the bottom of the Actions Palette Menu, click the Play button. You’ll then be prompted to click OK, Save, and OK in three different panels as the action plays and saves the JPEG. Try creating actions for high resolution JPEG reviews or different JPEG sizes. Each action you create will simplify your workflow and save you time.